There are many, many books on the market aimed at those wanting to learn about Wicca; none to date have been quite like The Book of Mirrors. Most of the other offerings are written by experienced Wiccan teachers and are intended as training manuals, explaining the basics of what Wiccans believe and providing a simplified introduction to the rituals Wiccans perform. The Book of Mirrors is different because it was written by a trainee rather than a trainer. 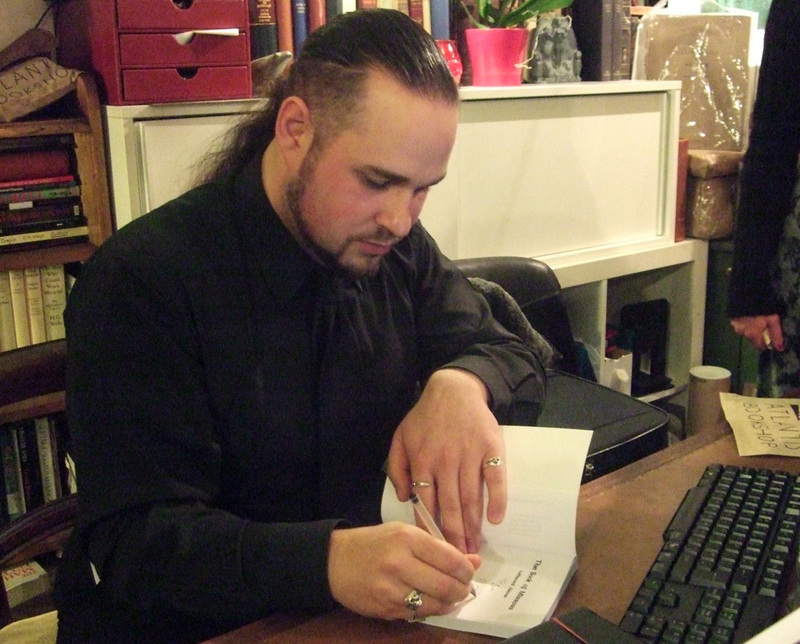 It began as the diary of Luthaneal Adams as he was considering joining a coven, continued after every meeting with the group and then before and after he took the big step of being initiated as a Wiccan priest himself. With the permission of his coven, he decided to have his diary published as his first book. It is an insightful, honest and thought-provoking account of one man’s spiritual journey; and is intended as a helpful guide to others considering training as a witch within a traditional Wiccan coven. Luthaneal was by no means a newcomer to paganism - or to witchcraft - before he began writing The Book of Mirrors. He had been a solitary witch and pagan for many years, creating his own spells and magical rituals that were Wiccan in style. One of his questions at the outset was just how much Wicca differs from other forms of modern witchcraft and pagan practise. The Book of Mirrors is full of such questions - but also full of answers. These are not necessarily the pat answers a high priest or priestess might give to newcomers, but personal answers found after much thinking, soul-searching and research. Luthaneal’s research is particularly thorough. For example, in one chapter he explores the origin of the Wiccan concept of “The Law of Threefold Return”, which is a theory that any magic you do, good or bad, will return three times the amount of good or bad respectively to the caster. From books, newspaper articles, talks and interviews from various well-known Wiccan teachers - including Gerald Gardner, Doreen Valiente, Patricia Crowther, Stewart Farrar and Fred Lamond - Luthaneal reaches the conclusion that The Law of Threefold Return was not originally a law, but more an interpretation of the idea that all spells have karma-like repercussions. This same insistence on accuracy means that The Book of Mirrors is very plain about the origins of Wicca. At one time, official Wiccan teaching was based on the idea that Wicca was an ancient religion and that its priests and priestesses were part of an unbroken initiatory line of Great Goddess worshippers, dating back into prehistory. That has now been pretty much disproved. The Book of Mirrors recognises and embraces that. Yet many other books for trainee Wiccans still trot out the fallacy of Wicca being The Old Religion. I must admit, the insistence that this was true despite historical evidence to the contrary, by the person who trained me nearly 20 years ago, almost put me off becoming a Wiccan. Trainees deserve the truth even when it isn’t as romantic as the myth. For all of the reasons I’ve mentioned above, I hope The Book of Mirrors becomes recommended reading for all would-be Wiccans, those currently in training with a coven and those who are in the position of teaching newcomers to the Craft. I met Luthaneal at the launch party for The Book of Mirrors, at Atlantis Bookshop, earlier this month - you can see a photo of him signing copies at the top of this page. At the launch he told me he has two more books due to be published. If they are even half as good as his first book, they will be worth reading.